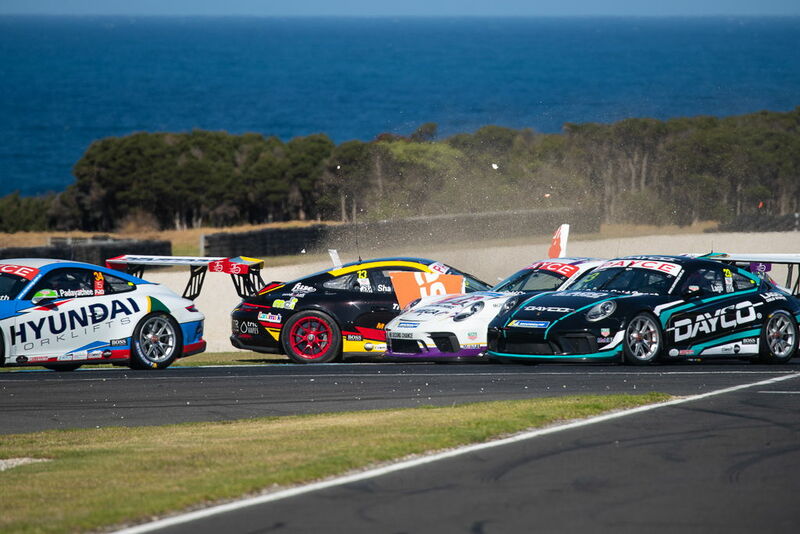 After a great weekend down at Symmons Plains in Tasmania last weekend at the opening round of the GT3 Cup Challenge championship, we were keen to get to the iconic Phillip Island circuit for the third round of the 2019 Carrera Cup championship. 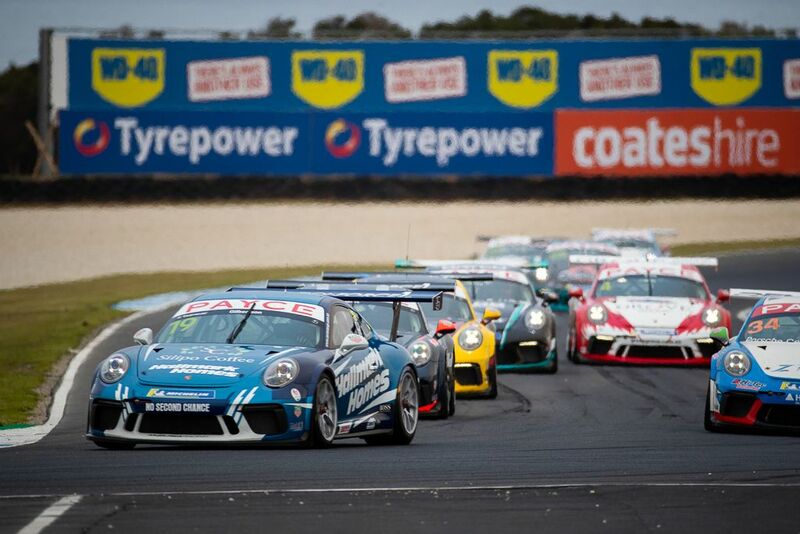 We came into the round with Gilbo leading the Pro-Am class, Luffy 5th in Pro class and Tim 5th in Pro-Am. 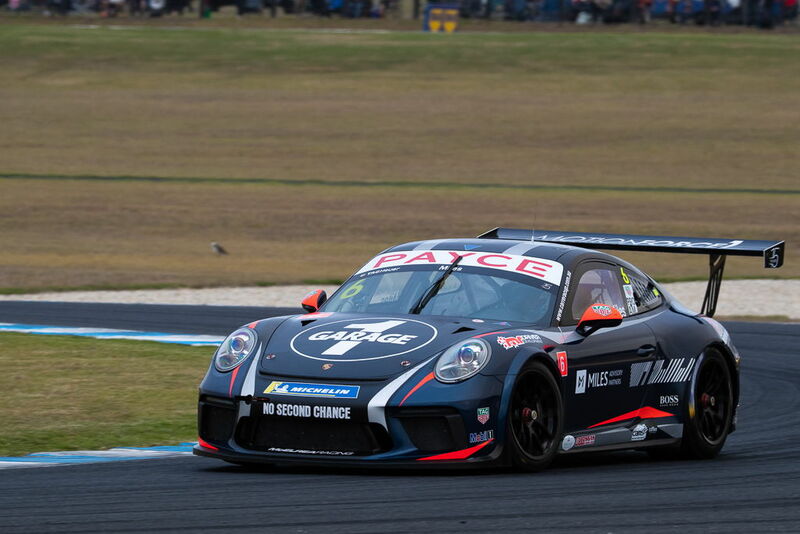 After being competitive in the two practice sessions, Luffy qualified a solid 4th. In the 24 lap opening race, he started from the second row and had a great dice with Almond eventually losing the spot and taking 5th. In race 2 he got a shocker of a start from grid 5 and lost a spot on the run down to turn 1. He kept the pressure on Hill ahead until he made a small mistake, which Luffy capitalised on nicely to take back 5th with a few laps to go. Luffy started 7th in race 3. On the opening lap, he was pushed wide by Wall on the run from turn 2 to turn 3 and he dropped a couple of spots. The worst was yet to come and he was clean bowled at turn 4 by a Pro-Am driver who had been knocked onto the grass at turn 3. 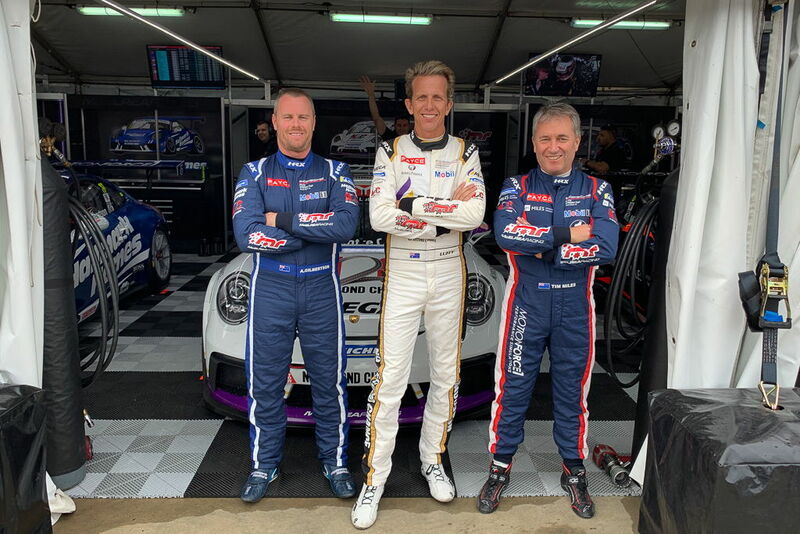 Gilbo did a great job in qualifying to take 2nd in Pro-Am. 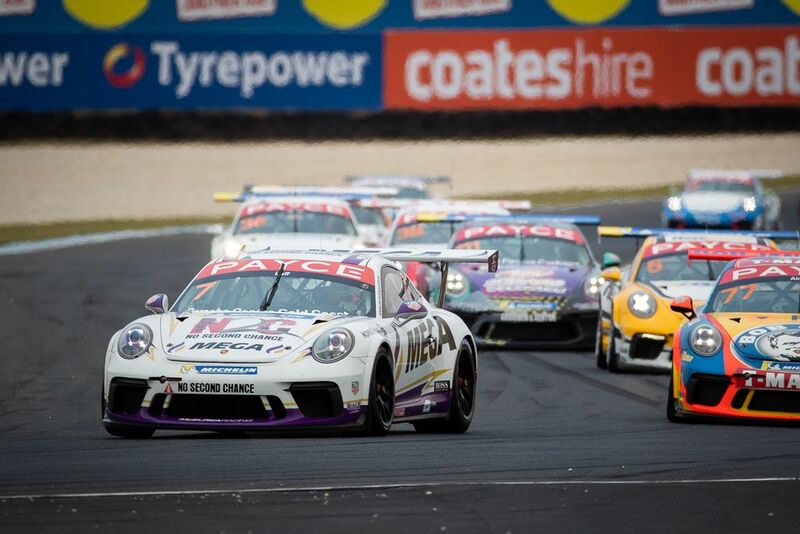 In race 1 he started from row 6 and had a perfect race, getting a good gap to the other Pro-Am drivers in the opening laps and cruising to a comfortable win. 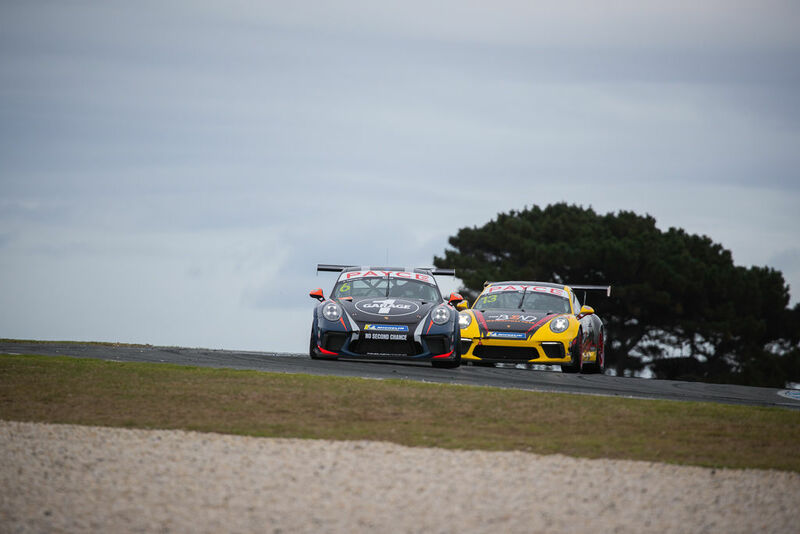 In race 2 Gilbo had a shocker of a start from grid 13 and lost a handful of spots until going through turn 1 side-by-side with Tim where minor and unintentional contact between the two of them turned Gilbo’s car around leading to a disappointing 8th. He started race 3 from grid 20 and made his way assertively through the Pro-Am traffic till he got up to third behind Grove. Knowing he had accumulated enough points for a podium finish, he wisely settled into a rhythm to score a well-deserved second place trophy. Tim qualified 3rd in Pro-Am and started race 1 from row 7. 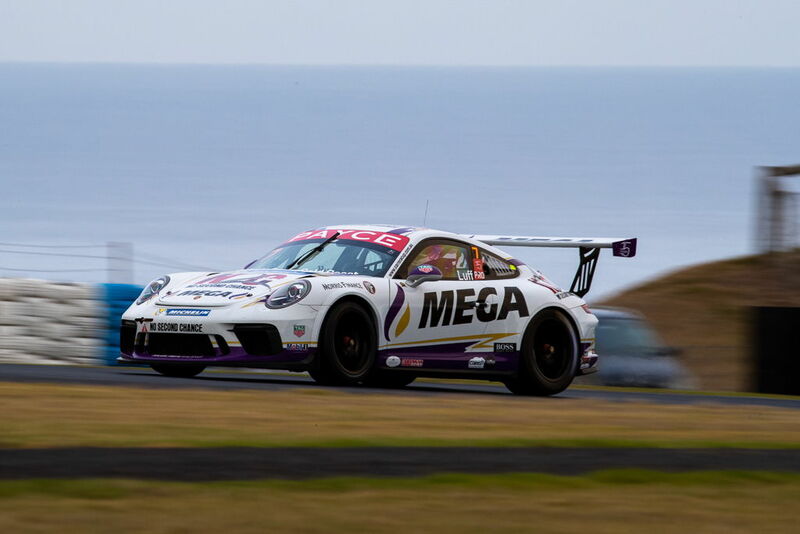 He had an OK start and held 2nd position in Pro-Am. He was struggling for consistency and got passed by Shahin and Grove in the closing laps. 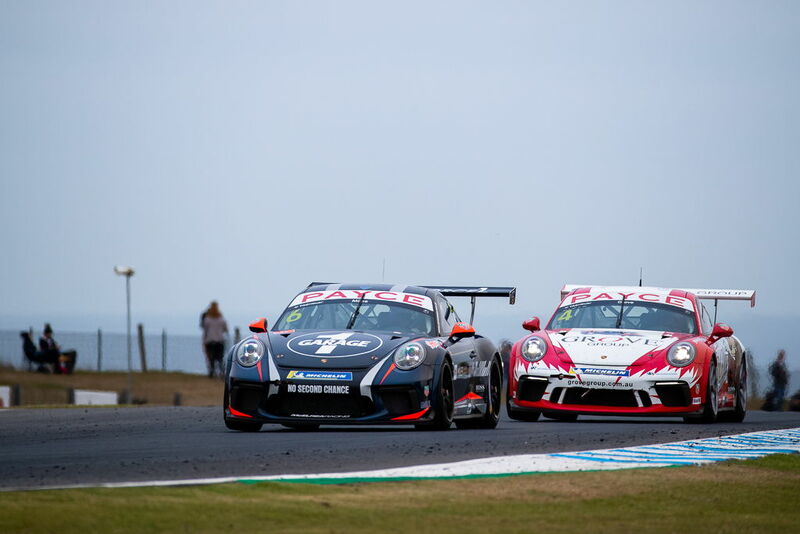 In race 2 Tim got a decent start from grid 16 and found himself running 4th in Pro-Am class until the contact with Gilbo into turn 1 on lap 3 sent him through the infield which damaged his splitter and lead to a 9th place finish. He started race 3 from 21st on the grid and was keen to make amends for yesterday’s problems. His car took a few laps for the tyres to come on and once they did he scythed through the Pro-Am field until he caught a defensive Lago and had to settle for 6th. Well, what a weekend - bittersweet is the only way to describe it. 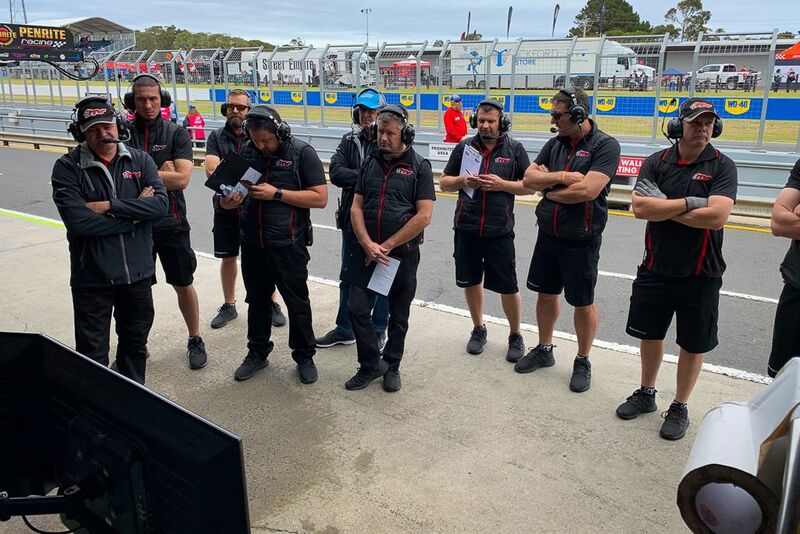 We have had some great results at Phillip Island over the years but the place has never been excessively kind to us and this weekend was no different! 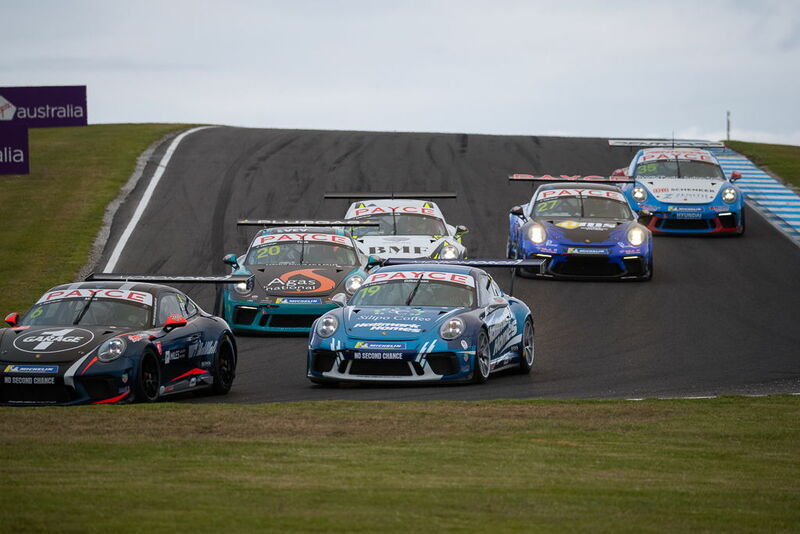 Naturally, we were rapt with Gilbo's second podium for the 2019 season and he also extended his Pro-Am championship lead. 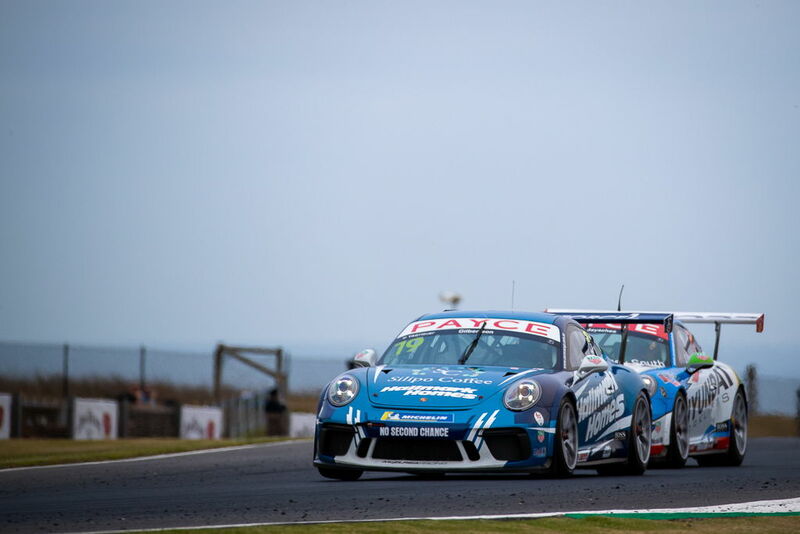 Tim had a strong weekend and would likely have been on the podium if not for the problems in race 2 and he leaves "the island" 6th in the Pro-Am championship. Luffy retains 5th in the Pro championship and had a solid weekend going until he was punted off in race 3.